Reasons to Live: Happy 70th Birthday to Me! Today I reach that biblical age of 70, and feel very much like I’m not done with life yet. I’m definitely hoping my strength endures until at least 80, and that the best of the days I have left are NOT trouble and sorrow! My parents both lived into their early 90s, as did my maternal grandmother and several aunts and uncles on both sides of my family; longevity is in the genes. But since no one knows how long he or she will live, the Psalmist’s admonition to “number our days, that we may gain a heart of wisdom” is good advice. The reasons I want to go on living are many, but right now they fall into three categories. Two are probably obvious, while the third dips into controversial waters but is something very much on my mind these days. 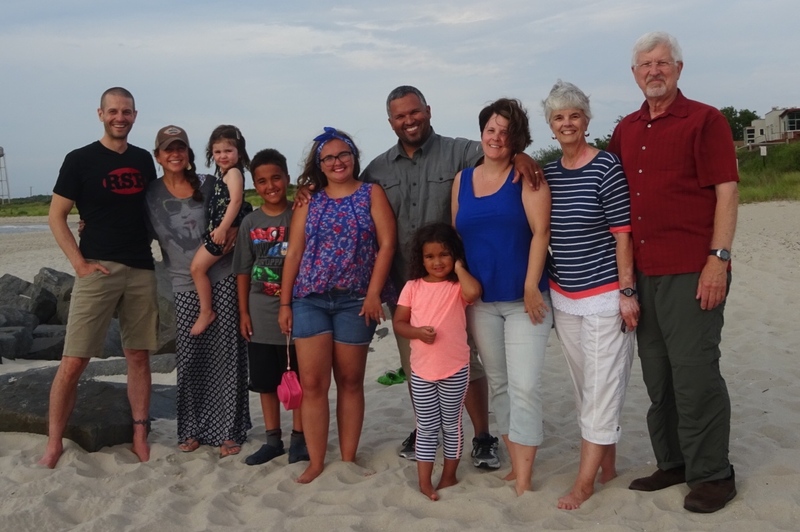 Our next Cape May beach pic will include two more little ones! My family. You would expect me to say this, but it’s still true! I love my husband and want to grow old with him. I also love my two children and their spouses, I’m proud of the truly good people they are and how they’ve chosen to live their lives, much of which I never could have imagined 20-25 years ago. I look forward to seeing what else life has in store for them. Then there are the grandchildren. This year, with the impending arrival of two more, I have a particularly strong reason to want to live. I am so excited about being grandma to twins. I certainly never thought such a thing would happen in our family, but here we are, about two months out from welcoming twins. I want to be available and healthy enough to help with the extra work that will be involved in caring for them, not only in the early months when things are sure to be hectic and stressful for their parents but also in the years to come. Meanwhile, Alecia (15) is fast approaching young adulthood, Justis (almost 12) will be a teenager before you know it, and the “little cousins,” Selena and Piper (six just yesterday and four, respectively), won’t be little much longer. They’re all growing up and I want to be around to see it happen. I never knew three of my own grandparents, and the fourth always seemed somewhat stern and remote, so I want my grandchildren to remember this grandma (me) as available, generous, and at least a little fun to be around. Doing what I enjoy. In retirement, I haven’t been bored. There’s always something else to think about doing. Sometimes, I feel like I still have too many deadlines – as soon as I get one publication to the printer, it’s time to work on the next, or I’m working on multiple projects simultaneously. I remind myself that being able to manage all those projects and deadlines relatively competently is a sign that my brain is still working well, and that’s encouraging! In addition to the formal editorial assignments I still have (mostly volunteer, with one small paid contract that is almost over), I want to continue writing for myself. I’m part of two book clubs and always have a pile of non-book-club books waiting on my to-read list. With the impending arrival of twin grandbabies, Dale and I have put our travel plans on hold for a bit, but there are still places I’d like to go – especially in other parts of the world. Knitting also continues to give me pleasure. Lately, I’ve read a number of articles touting the health benefits of knitting, providing justification for my yarn stash and habit of checking out local yarn stores wherever we travel. 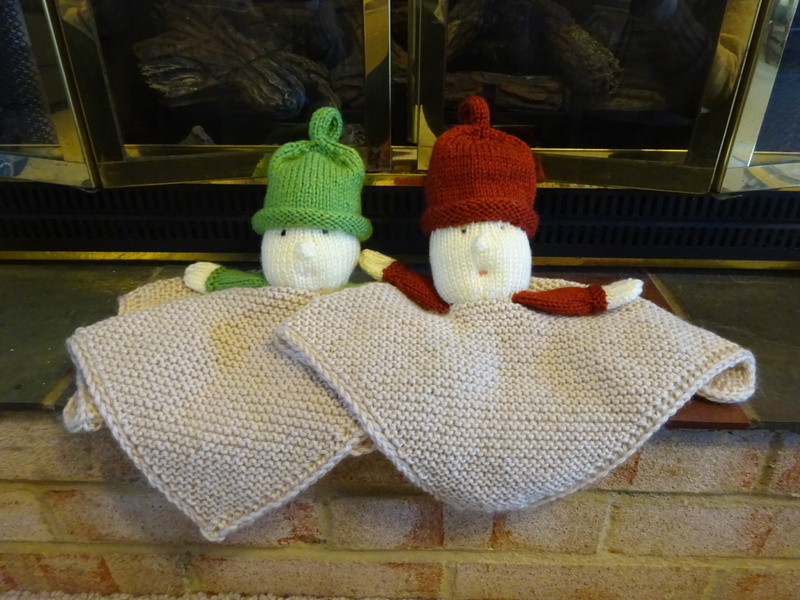 I will never measure up to my mother’s knitting skills, but it won’t be for lacking of knitting! And then there’s always the basement with its boxes of memorabilia to be sorted (while memories are jogged) and “stuff” to be thrown away. I only wish I enjoyed the de-cluttering process as much as I enjoy lots of other things! Surviving a national nightmare. Sometime, after he became president following the resignation of Richard Nixon over Watergate, Gerald Ford declared: “Our long national nightmare is over.” Now I feel like we are in the middle of another national nightmare, and I long for the day when this one is over. I can’t count the number of times someone has said about something our current president has done or said, “This is not normal.” I know that “not normal” is exactly why many people voted for him, but personally I’d like a bit of normal. I’ll spare you my detailed list of the things about this presidency that are not normal and distress me, but here’s a sampling: regular attacks on the basic underpinnings of democracy and the rule of law, unprecedented levels of dishonesty and misinformation, gaslighting, petty insults and bullying that are beneath the dignity of anyone let alone the president of the United States, hypocrisy, racist and xenophobic language and behavior, apparent conflicts of interest and self-dealing, questionable ethics, ill-advised and mean-spirited policies, and so on. As I’ve said before, I expect the typical ebb and flow of policy changes when one party takes over from another. I can somewhat understand how the president’s supporters believe he is doing exactly what they wanted when they voted for him. What I can’t understand is how policy changes are worth the assaults on democracy, fundamental decency, truth, and basic morality, and how so many who would be outraged by such behavior in anyone else seem to have little problem with it in this president as long as they get what they want. A good friend told me last year that one of her goals in life is to take care of herself so she will live to see decency and democratic norms restored when this presidency finally ends. I have joined her in that goal! Finally, my challenge to myself on my 70th birthday: I want to increase my ability to focus on the good things – my family, the daily aspects of life that I enjoy, and my primary commitment to the kingdom of God rather than any earthly kingdom or political party – instead of on the chaos of the current political scene. Even while I long for this “national nightmare” to be over, I want to keep doing the right thing and, as I wrote before, “to speak truth with words that give grace.“ Whatever awfulness is happening in politics, I want to live by the Christian values that have guided my whole life, even when it is really hard. I’m also reaffirming the three wishes I wrote for my birthday in 2016 (the ability to “be still and know that I am God,” a sharp mind, and an attitude of gratitude) and in 2017 (a fair U. S. political system, a world where my grandchildren can survive and thrive, and the ability to age well). Returning to Psalm 90: I want to cultivate that “heart of wisdom” that should come with age – another good reason to live! Last week’s “Camp Grandma” with the youngest two grandchildren (five-year-old Selena and three-year-old Piper) was exhausting, mostly because they hardly ever stopped moving and asking, “What can we do now?” Dale and I planned various activities, but it’s amazing how quickly you can go through things to do with preschoolers who sometimes have the attention span of a flea. As I tried to keep up with the little girls (or, preferably, stay one step ahead), I couldn’t help thinking of the motto on my current favorite mug: “Nevertheless, she persisted” – or in this case, they persisted. Anyone who hasn’t been living under a rock the last few months probably knows where those words come from: Senate majority leader Mitch McConnell’s reprimand of Senator Elizabeth Warren. The words instantly took on meme status, as they encapsulated not only the eternal struggle of women to be treated with respect and fairness but also the need for the persistent pursuit of what’s right and honest and decent during what many people are experiencing as a very distressing time in the United States. Persistence feels difficult and almost futile, as undignified and nasty tweets pile upon unjust and damaging policy changes. There’s just too much to persist about, and I find myself getting really tired. 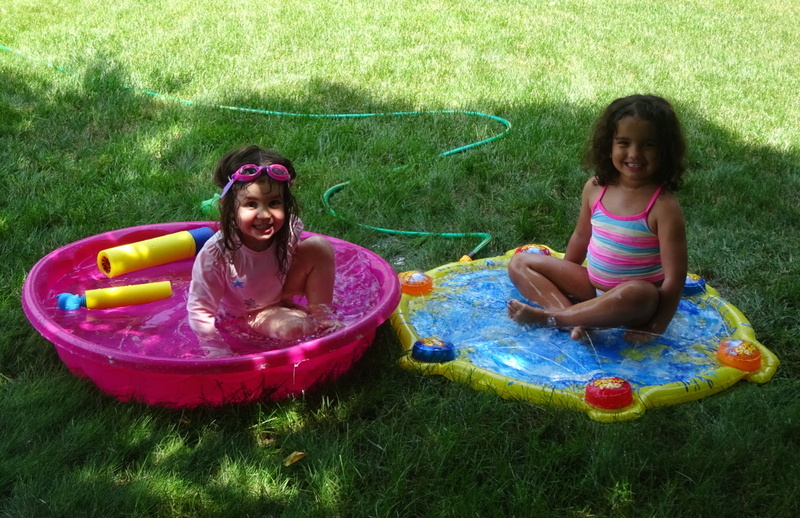 However, as I watched my precious little granddaughters, I thought about the nature of persistence and tried to draw just a bit of inspiration from them. If you want something, ask for it. Piper has a routine list of things she wants to do every time she comes to our house: watch a PBS Kids show on my iPad, have real tea with milk and sugar using the toy tea set, etc., and she’s not shy about asking for the next thing on her list. We don’t always have time for everything, and sometimes she’ll say, “What didn’t we do yet?” or” We didn’t do ___ yet.” One thing she doesn’t want to miss is getting a little “treat” from my supply of candy on top of the buffet cabinet in the dining room, and she wants to get it herself. As soon as I move toward the buffet to respond to her request, she quickly moves a chair over so she can reach the treat all by herself. She makes sure we know what she wants and takes action to make it happen. Ask nicely for what you want. Selena doesn’t whine when she’s with us (although I’m sure she does sometimes at home – she’s a kid after all), but she is persistent about repeating her requests over and over again. When we went to Lake Tobias Wildlife Park, she was most looking forward to petting and feeding the goats. There were other animals to see on the way to the petting zoo where the goats were. She was definitely interested in all of them and enjoyed seeing and watching them, but she got impatient and would very respectfully repeat as Dale and I lingered at various venues, “I really want to feed the goats.” At home, she knew I had various craft activities for us to do together, so periodically when there was a lull in her play, she would say, “I really want to do a craft,” not in a fussy tone of voice, but a gently effective reminder of what she wanted. 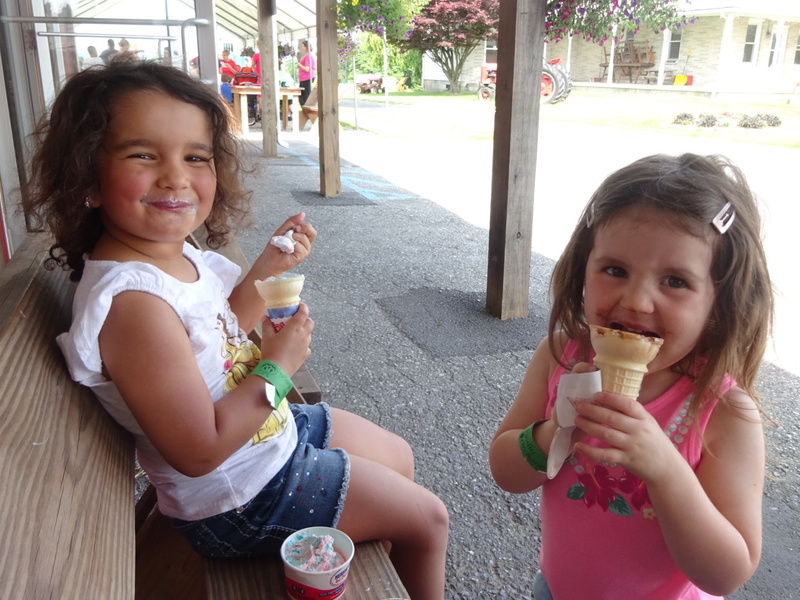 When we went to Playland at Paulus Orchards, they both immediately spied the ice cream cone sign at the entrance. I tried to deflect them from thoughts of ice cream, suggesting the food stand might not be open yet since it was still fairly early. Undeterred, Piper marched straight up to the order window to check, and of course there was someone there to ask this cute little girl what she wanted. The answer: “Ice cream.” “What kind would you like?” “Chocolate.” “Do you want it in a cone or a cup?” “I want it in a cup with a cone,” said as though this three-year-old has had years of experience ordering ice cream. Know the way to the person’s heart you wish to influence. For Selena, I think it’s smiling – her smile is quite simply irresistible. Perhaps she doesn’t consciously know the power of her smile, but she certainly uses it well. I’m also not sure Piper consciously knows what will win my heart, but this definitely did: she was eating yet another helping of my made-from-scratch baked macaroni and cheese, and she said, “When I come again, can you make macaroni and cheese? I like yours better than the kind my mommy and daddy make.” You can be sure I’ll make it for her again, especially since it’s one of the very few non-snack things she will eat at our house! If you want something, ask for it. Ask nicely for what you want. Don’t hesitate to act when the opportunity presents itself. Know the way to the person’s heart you wish to influence. How do I translate these lessons in persistence from the preschooler context to the larger world in which I am trying to make a difference but feel especially helpless right now? I think my biggest takeaways are that I need to continue to try to be nice and polite, and not resort to nastiness no matter how strong the temptation or the provocation, and I need to persist. I need to keep asking and working for what I want, for what I believe is in pursuit of the common good for everyone. When I’m tempted to throw up my hands in despair at the unparalleled awfulness of what is happening in Washington these days, I should remember my preschool grandchildren and simply persist. I’d like them to say about me some day, “Nevertheless, Grandma persisted” to protect the world and make it a better place for them. Do We Overprotect Our Kids? Last fall I posted a picture on Facebook of Dale and me with three of our grandchildren at Cherry Crest Adventure Farm in Lancaster County. The toddler was in a stroller. Dana (the toddler’s mom) commented, “My baby is not strapped! Caught you!” No, I had not belted Selena into the stroller. She was in and out of the thing all day, and I didn’t think it was necessary to strap her in every single time we moved a few yards from one farm attraction to another. Dana’s comment made me feel a little guilty, but also a little defensive. What person my age hasn’t said multiple times, “It’s a wonder we survived,” as we observe and enforce all the safety precautions that are intended to protect our children and grandchildren from harm. In my childhood, there weren’t any seat belts or car seats, bike helmets and knee/elbow pads, or playground equipment standards. Even when my own children were young, the car seats we used weren’t that good and I would often hold (and even nurse) my baby on my lap – in the passenger seat, of course. When I was a child growing up in the Rhodesias (now Zambia and Zimbabwe), I did many things that today would likely be considered dangerous. All of us missionary kids loved to climb and play on the rocks at Matopo Mission. I can picture spots among the rocks behind the main mission house at Matopo that required a fair amount of scrambling to reach but were challenges we just had to tackle. I imagine we often climbed barefoot, and I’m sure there were skinned knees and stubbed toes. I rode my bicycle by myself around the mission stations, coming and going from our house pretty much at will. My brother and I played in the dirt, building roads and towns for his toy cars. We sat on the ground and moved the dirt with our hands–dirt where people walked in bare feet and where who knows what animal or insect had been. When Rich was still sucking his two middle fingers (which he did till he was past four), he would periodically stop his play and put his fingers in his mouth – no hand-washing first. It bothered my mother, and I’m sure he ingested all kinds of germs, but he didn’t get sick. We also played in the river. I vaguely remember a caretaker (not my mother) who would go with us sometimes, but I’m pretty sure I went by myself too. The river was some distance from our house, so no one could watch out the window or from the back porch to make sure I was okay. It wasn’t the Susquehanna River, and depending on the season, the river sometimes wasn’t much more than a trickle, but it was a body of water nonetheless where I played without adult supervision. I loved climbing trees, going up as high as the branches would allow. We also had rope swings hung from high horizontal tree branches – two ropes connected to a board about five inches wide for the seat. I would swing as high as I could (sometimes at the highest point, the ropes were close to being parallel with the ground), or I would sit on the seat and twist the ropes as tightly as possible and then twirl rapidly as the ropes unwound, making me so dizzy I couldn’t walk! Again, all this was without adult supervision. I was much more vigilant with my own kids, but permitted things I’m not sure I would be comfortable with today. Some years, they walked to or from school (some years they rode the bus), and one year Dana and her friends roller-skated to school with no helmets, elbow pads, or knee pads until their principal decided he didn’t like them bringing their skates into the building. Dana and Derek and their friends on our block rode their “Big Wheels” down the sidewalk hill in front of our house, with the strong possibility they could have missed the turn at the bottom and gone right out into the street in front of a car. I did worry about abduction, so when they were playing outside or with friends, I always tried to make sure I knew where they were and who they were with. And in hindsight, I actually wish I had been more vigilant about certain things. Now when we take care of our grandchildren, we are very careful – partly because we would feel absolutely horrible if anything happened to them while we’re responsible for them, but also because we are so much more aware of all the potential dangers that we didn’t even think or know about when we were growing up. Raising children these days can be a scary proposition. Some of the dangers are sinister and horrific – like school shootings, drugs, sexual predators, child abductions, internet-based crimes, fears of being accused of child abuse or neglect, or freak accidents. The media often portray the world as a dangerous place, with potential disaster for children lurking around every corner. Some parental (and grandparental) vigilance and attention also comes from the pressure to measure up to other people’s expectations and to make sure we are actively and constantly giving our children opportunities to learn and experience new things, so we won’t be accused of being lazy, neglectful. and unengaged and so they will have as many advantages as the next kid and won’t be deprived or lag behind their peers. What sparked these musings was an article I came across from The Atlantic, “The Overprotected Kid.” The article describes a new kind of playground that encourages and allows free, imaginative and unsupervised play, unlike what has become the norm for so many families. The author, Hanna Rosen, notes that at one point, when her daughter was about 10, “my husband suddenly realized that in her whole life, she had probably not spent more than 10 minutes unsupervised by an adult. Not 10 minutes in 10 years.” It’s a lengthy article but well worth the read. Then there was also the recent incident of the mother who was arrested and jailed because she allowed her nine-year-old daughter to play in the park alone for three days while she was at work. The daughter had a cell phone so she could call her mother in case of an emergency. The mother worked at McDonald’s and couldn’t afford child care, but she didn’t want her daughter to sit inside all alone for hours all summer when she could be outside playing. Whatever else this story illustrates, it surely points out that for all our concern with protecting our children from dangers real or imagined, we don’t do very well at protecting ALL children: there are still far too many children in the U.S. who don’t have access to good quality child care, live in poverty (in fact, the child poverty rate in Pennsylvania increased three percent from 2012 to 2013, according to the Annie E. Casey Foundation), live in neighborhoods without adequately-funded and well-run schools, are in danger of being the victims of gun and other kinds of violence, or don’t have parents or other caregivers with the time, skills, resources, or perhaps even the motivation to pay attention to their children’s most basic physical, social, and emotional needs. Do we overprotect our kids? Clearly, it seems to depend on whose kids we’re talking about. Perhaps a better question is to what extent in our efforts to protect our own kids, we are protecting ALL kids. Even as we must acknowledge that life is not risk-free and it is unrealistic and potentially crazy-making to think we can prevent our own children from ever being harmed, there’s nothing wrong with doing our absolute best to protect them. At the same time, let’s not forget the children who also need people to protect them and to advocate on their behalf when and where we can. Oh, and I don’t feel all that guilty about not belting Selena in her stroller. We had eyes on her the whole time!